Mary's Newtown was in town over the weekend for a burger takeover of Nick Stanton's American-log cabin inspired dive bar, Leonard's House of Love, and they managed to keep their special guest under wraps until the morning of. 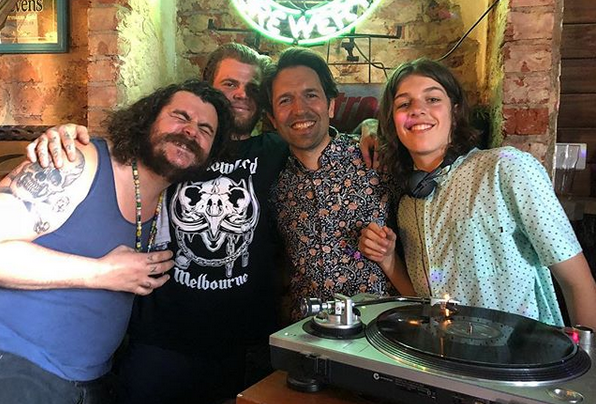 One of Australia's most lauded chefs and Attica owner and head chef Ben Shewry was on the decks on Sunday afternoon, playing to an eager crowd that lined up around the corner before the venue opened. Here's hoping this won't be the end of DJ Degustation.